The practice of hosting Farmers markets seems to be taking root in Jamaica - no pun intended. From my research this is what can only be described as a global trend, farmers directly serving the end user, as caught on “Pon the Island”. In the midst of an IMF austerity program this could be a case of what Jamaicans call “tun yu han,mec fashion.” Translation: necessity is the mother of invention, or in this case, adaptation. In the Jamaican context this trading space usually takes on more of a wellness fair-like atmosphere .One can get numerous medical tests done on the spot with the turn around time for results taking only minutes. Therefore the inevitable consequence of overindulgence in the spicy delicious Jamaican food on sale can be detected early. 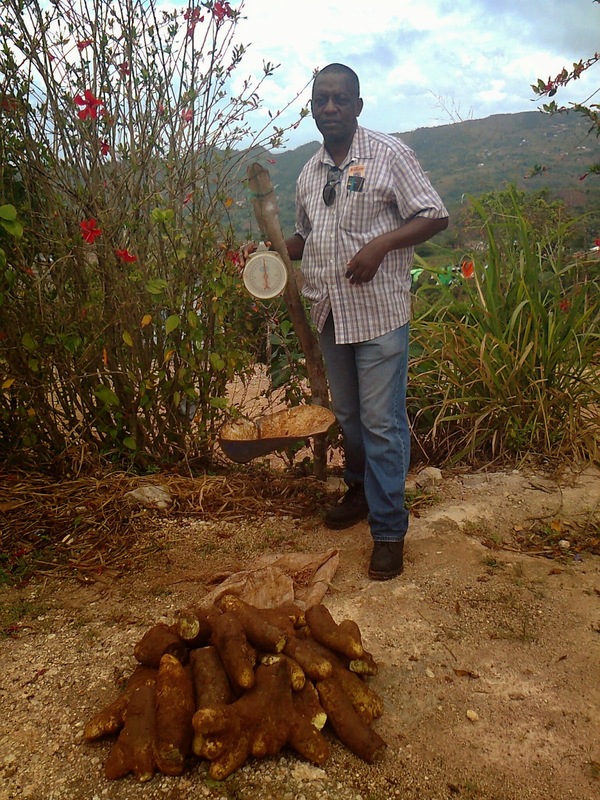 Jamaica boasts a strong horticultural heritage. A case in point is the Manchester Horticulture society which has been in existence for close to 150 years. It’s no surprise therefore to find a wide array of plants on sale at the Jamaican Farmers Market. The Horticultural displays have a necessary calming effect on the soul - perhaps needed before one hears the prices of some of the plants. Cheap Chinese made replicas of Jamaican Art and Craft, a favorite of in bond merchants, have been reaping havoc on the Jamaican Craft Industry. Finding new and innovative outlets for their work is very important to the local Craft producers. The Farmers Market is proving to be an excellent avenue for the sale and showcase of Jamaican art and craft. For far too long the middle man has held pride of place in the present form of capitalism. Globally, producers are seeking a bigger piece of the pie. Escalating my argument I could mention the almost laughable situation in places like Africa. Many African nations are producers of Primary goods whose prices are set by commodities traders from the developed world. On the other hand most of the finished goods needed by these African nations are manufactured in the developed world and they, the producers, set the price. The same person sets the price of Primary and Secondary goods. The fact that these imbalances are allowed to occur in today’s world is simply amazing. Quite possibly the participants of these regularly held Farmers Markets are just heeding the advice of The Great Bob Marley “get up, stand up, stand up for your rights, don’t give up the fight”.